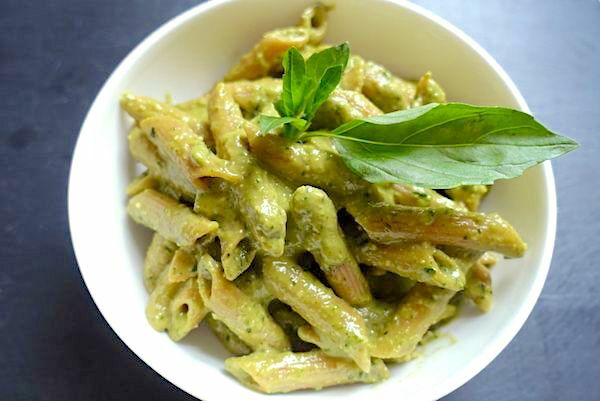 After trying several pesto sauce recipes during my chef training days in Paris, I created my own version just the way I like it. 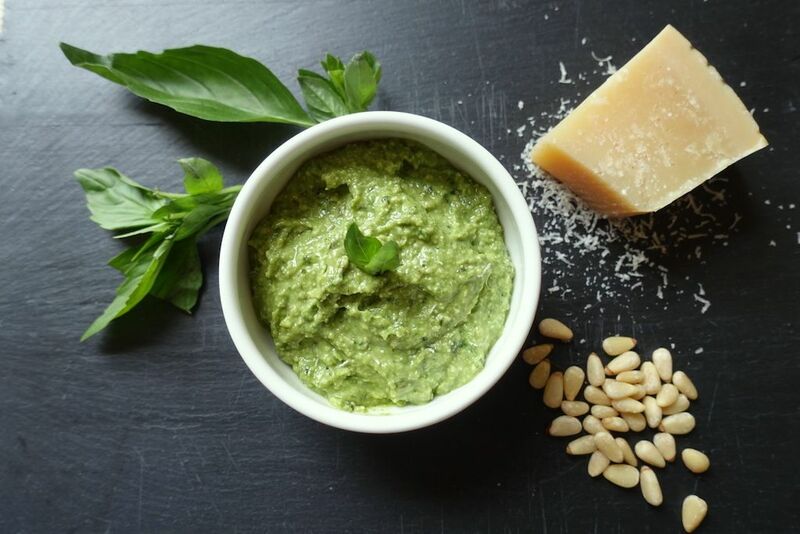 Basil and parmesan cheese are the main players in the outcome of this delicious sauce, so use the best you can. You can make a batch and store it in the fridge, in a sealed container. My advice is to put plastic wrap on top of the sauce and under the lid to avoid air being in contact with the sauce. This will keep it fresh and green. All ingredients will be grinded and mixed in the same blender/food processor. Start with the dry ingredients and continue with the liquids. Season at the end. 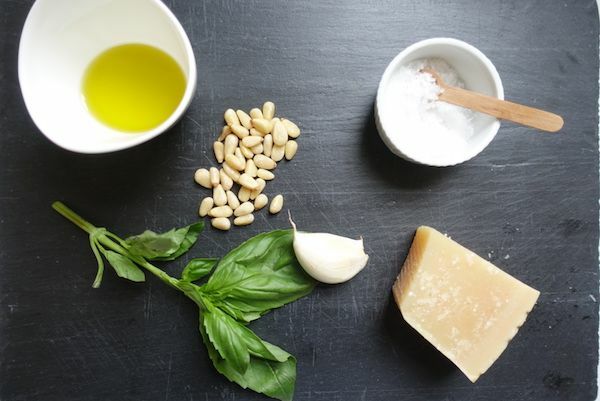 The parmesan cheese is very salty so there is no need to add too much salt. Grind cheese and garlic clove first. Add pine nuts and grind. Add basil leaves and blend until you have a thick paste. Then and olive oil and blend together. Finally add water to soften it. Season with salt and pepper and blend one more time. Taste and adjust the seasoning if needed. The end result should be a thick and slightly chunky sauce, yet creamy. If it’s too thick once in the fridge, dilute it with a bit of water or add some olive oil. This will depend on your preference and on what you will mix it with. If you add it to hot pasta, don’t dilute it, it will soften with the heat of the cooked pasta. Just mix slowly. I personally don’t like to heat pesto in the microwave oven or on the stove because the oil separates from the rest, and the colour and flavour change. It’s better to mix it with something hot and wait until it softens and warms slowly. I like to eat it with whole wheat penne, with salads, grilled vegetables, quinoa, as a dip, or on top of a thick piece of toasted artisanal bread. It adds flavour and character to almost anything.